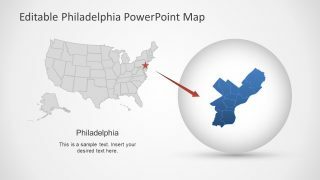 The Philadelphia Map PowerPoint Template is a presentation tool for demonstrating geographical and regional topics. 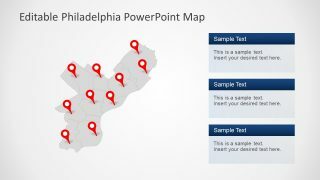 This 7-slide template of editable map contains multiple layouts for presenting city of Philadelphia (Pennsylvania, USA) differently. 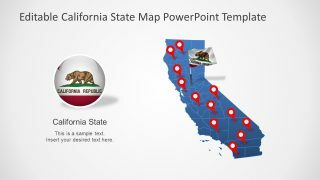 Therefore, this template can be useful for any business or casual presentations. Such as company’s sales and marketing campaigns, place for opportunity, tourism, history, geography etc. 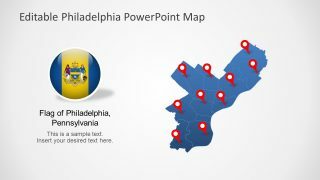 Each slide of Philadelphia map template shows a distinct layout comprising of location pin markers, flag, and text placeholders. 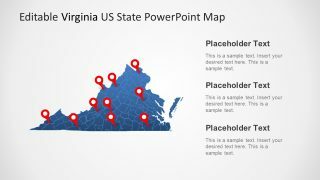 Further, this PowerPoint template contains blue and gray shape and outline fill colors. 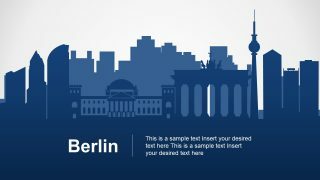 But users can change these colors according to presentation requirements like company’s brand or presentation theme. 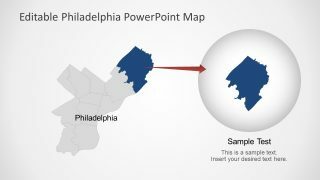 Furthermore, they can create a multi-color state map by adding different colors to each county of Philadelphia map. The Philadelphia Map PowerPoint Template includes moveable location pins. 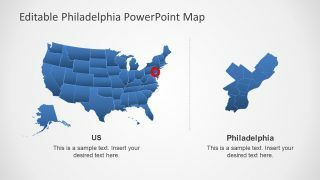 There are two slides with bonus editable USA map highlighting Philadelphia by zooming-in on one state. 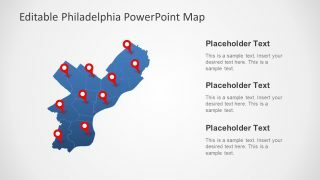 Similar layout design is available to highlight different points of Philadelphia. 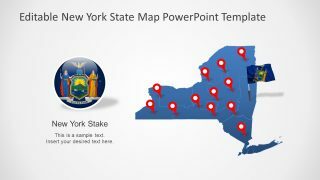 Simply copy the county shapes, increase its size and present it as its highlighted version. 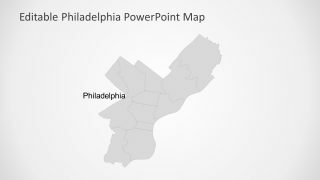 The PowerPoint shapes of Philadelphia are flat vectors, hence, resizing them will not affect image quality.